Workplace bullying and harassment usually involves a pattern of behaviours that mentally hurt or isolate a person, and can be both obvious and subtle. Workers who are being targeted can be subjected to any combination of rumours, intimidation, threats, belittling, and profanity, among other actions. 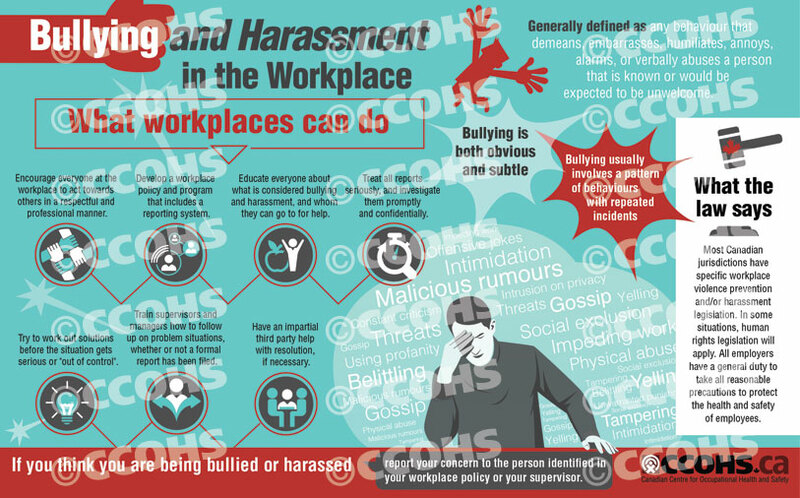 Share these cards throughout your workplace to increase awareness of bullying behaviours, encourage reporting of concerns, and reinforce what workplaces can do to develop a respectful and safe work environment.